See an augmented reality medieval map of Hampshire laid out on the floor of Henry’s Map. 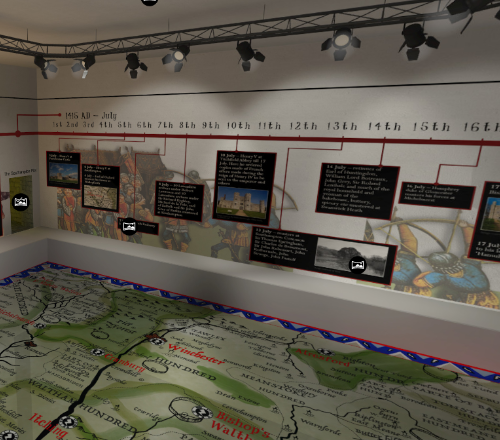 In this gallery you can follow the Agincourt Timeline which details events that occured across Hampshire and led up to the Battle of Agincrout. Use your smart phone with the Zappar App to access the animations, films and other content that can be access from the various locations within this gallery.